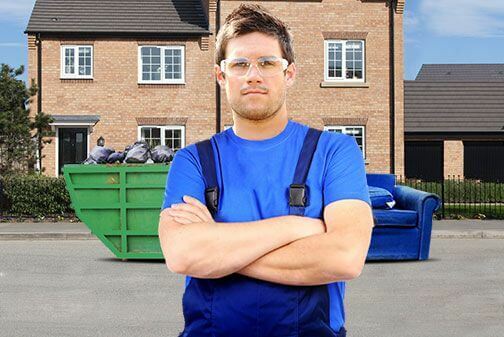 Book Our Rubbish Removal Services Today and Say Goodbye to Junk! If you want the cleanest home, then you need to get rid of all your junk first. If you have old unwanted items everywhere, you won't have space, will need to spend more time cleaning and you can lose the atmosphere and look of a room. These items can be anything from furniture and electronics, bikes and clothes, knick-knacks and curios, CDs, DVDs, books to anything you can find in your abode. An office also needs to be free of clutter, so that your business can run smoothly. If you want a quick and easy way of handling a rubbish removal task in London then we can help. Call 020 3795 9581 anytime and find out how London Waste Removal can help you with your junk removal project. 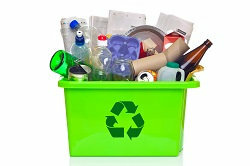 We will cover all aspects of your rubbish removal job and aim for a green result. We avoid simply dumping items into a landfill after we handle your rubbish collection and instead endeavour to reuse your goods. 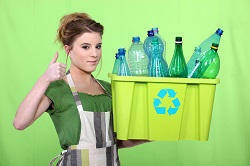 We will take them to recycling centres in London so that you things can be made into something else or used elsewhere. This lowers the impact on the environment, as it means resources aren't required to create new objects. We do all this extra work without any involvement or extra cost to you. We follow all laws and regulations when recycling goods, so you can be assured that everything we do is above board. We guarantee we provide the best value on rubbish clearance services in the London area. We do this with the free quotes we offer. When you call us on 020 3795 9581, we will go through the details of the junk removal service we provide to you. We will then provide you with a free quote. This estimate will be based on the services you want from us, also you will pay accordingly. You don't pay for any unneeded extras, just the waste disposal work you need from us. The quote needs no obligation, so if you dislike it, you can reject it and work on another. The quote lets you see the prices in advance and there is no purchase necessary to receive one. To have a successful rubbish collection result, we will provide everything you require. Hire us and we will send a top team to your address at any time you want us to. We will send as many people as the job demands and be with you wherever you are in London. Our team will cover every part of the task, so that you don't need to do a thing. You can easily hire London Waste Removal, so get in touch on 020 3795 9581 now to have the best people for the best results of your rubbish removal.